We are pleased to be able to show on this site some of Robert Cooke's extensive collection of photographs taken in Worcestershire from the 1960s and later. 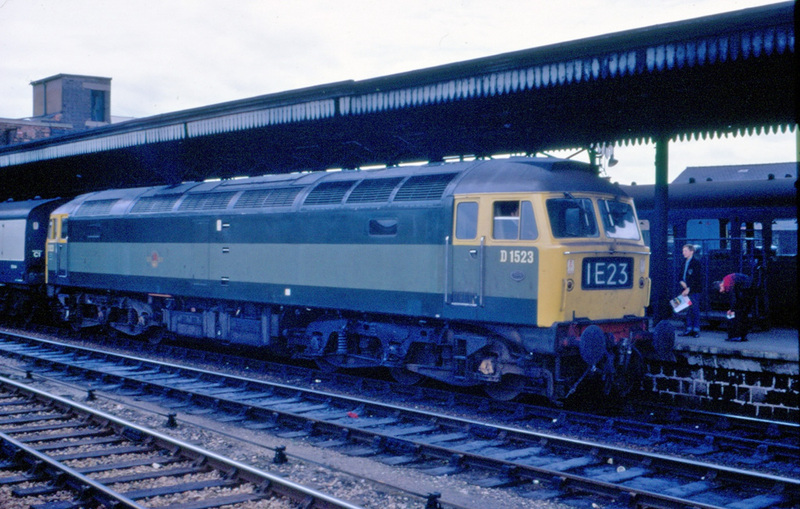 Sheffield (Tinsley) based class 47 diesel electric locomotive No.D1523 at Worcester Shrub Hill Station in 1968. Our Working Timetables for this period do not record train code No.1E23 but one suggestion is a Paignton to Sheffield train. A diesel multiple unit is in the bay platform whilst one of the two young railway enthusiasts appears to be taking down the locomotive's details. The locomotive still carries is Brush makers plate. 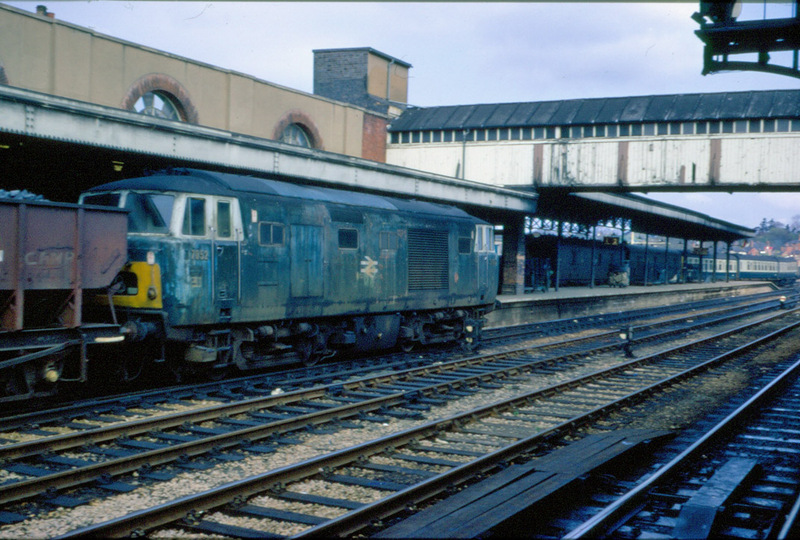 Also at Worcester Shrub Hill but in complete contrast to the well-kept class 47 locomotive (above) is filthy class 35 diesel hydraulic locomotive No.D7052 on Sunday 2nd April 1972. The locomotive is in BR blue livery with small yellow warning panels and white window surrounds. On Saturday 27th May 1978 Robert was at the bridge to the south of Bromsgrove Station as a very clean class 45/1 diesel locomotive No.45147 (ex No.D41), with split headcode panel, headed towards the Lickey Hills with a train of empty wagons. Class 25 diesel locomotive No.25097 at Bredicot on 17th June 1978. 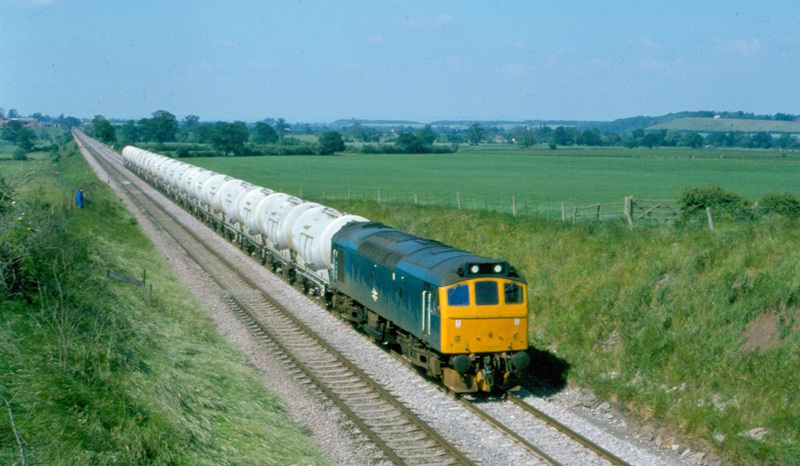 Another photograph of this train of tanks can be found in the article on class 25 locomotives. Class 31/4 diesel locomotive No.31419 with its load of six vehicles has the assistance of the Lickey bankers class 37 diesel locomotives Nos.37159 and 37180. The train is just starting its ascent of the Lickey Incline. Photograph taken on 20th September 1978. 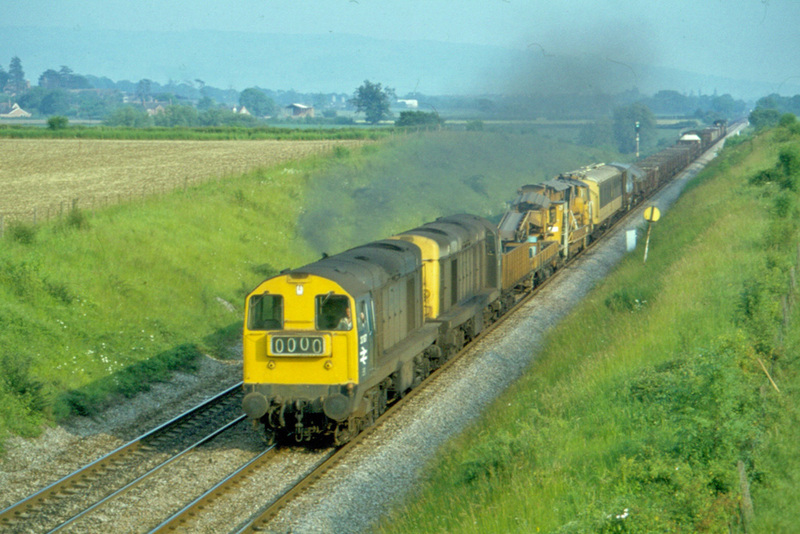 A pair of class 20 diesel locomotives head north through Croome on 19th June 1979. The train is headed by No.20197 with four-aspect headcode panel, the other locomotive is No.20047 in green livery. 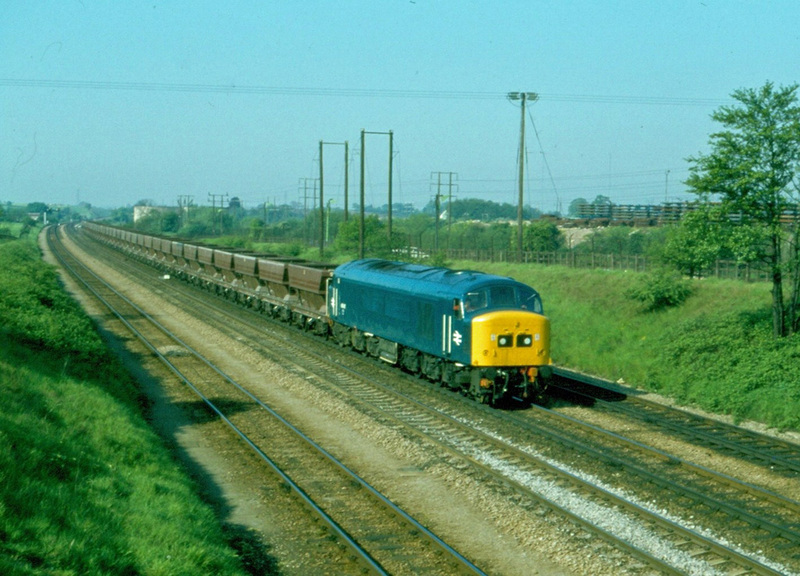 Photograph taken on 19th June 1979. 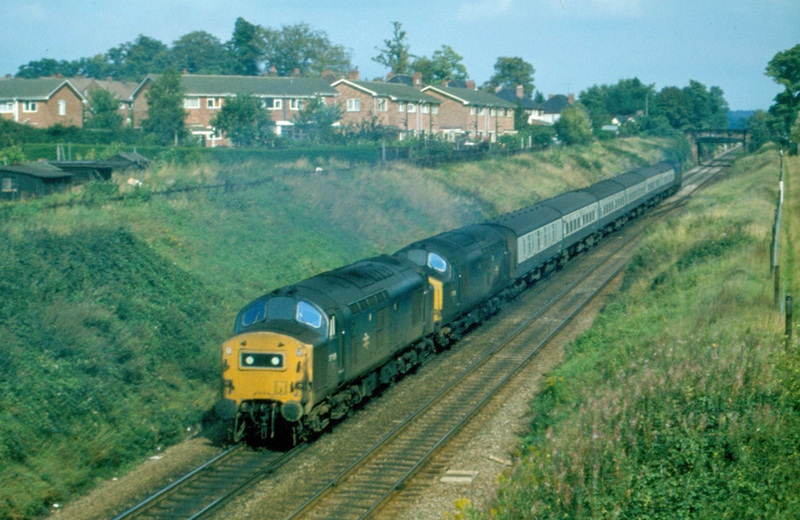 On 24th August 1983 Robert Cooke was on the Howsell Road bridge overlooking Malvern Link Station where he took this classic photograph of a Metro-Cammell three-car class 101 diesel multiple unit, working the 17:36 service from Great Malvern to Birmingham New Street. Unusually the yellow panel on the front of No.53323 (formerly No.50323) has the window section outlined in black. The other two cars are No.59129 (centre) and No.53307 (ex No.50307). 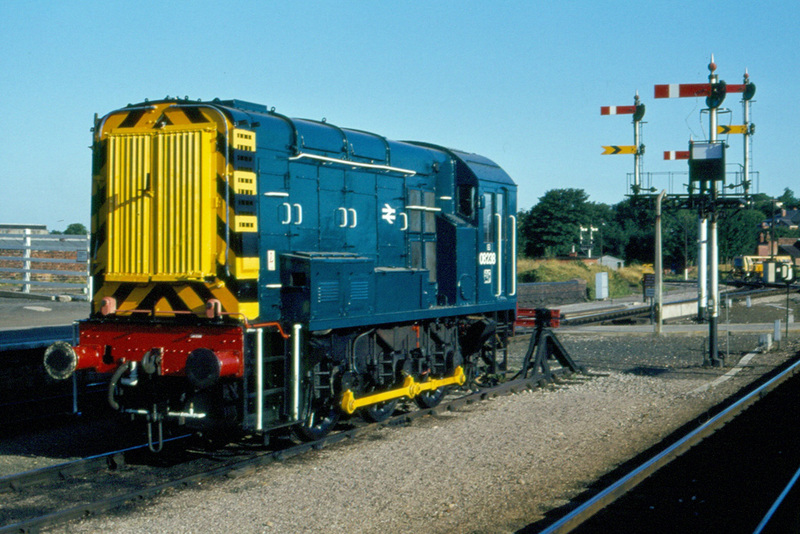 BR class 08 diesel shunting locomotive No.08238 was immaculately turned out in blue livery when photographed at the buffers stops in the centre track at Worcester Shrub Hill Station on 14th August 1983. This fascinating photograph from a long gone era shows the former goods yard alongside Kidderminster Station and now the site of the Severn Valley Railway's station. 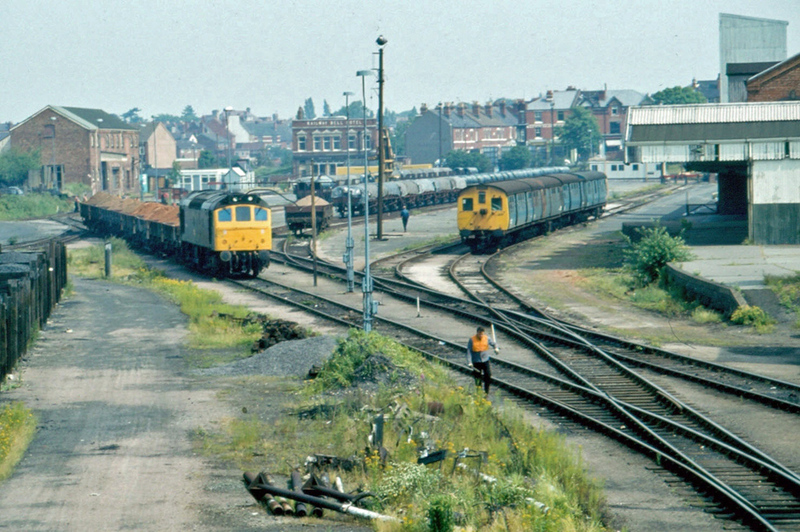 On the left is class 25 diesel locomotive No.25202 with a train of sand whilst the siding on the right contains a four-car class 503 electric multiple unit consigned to a scrap yard. 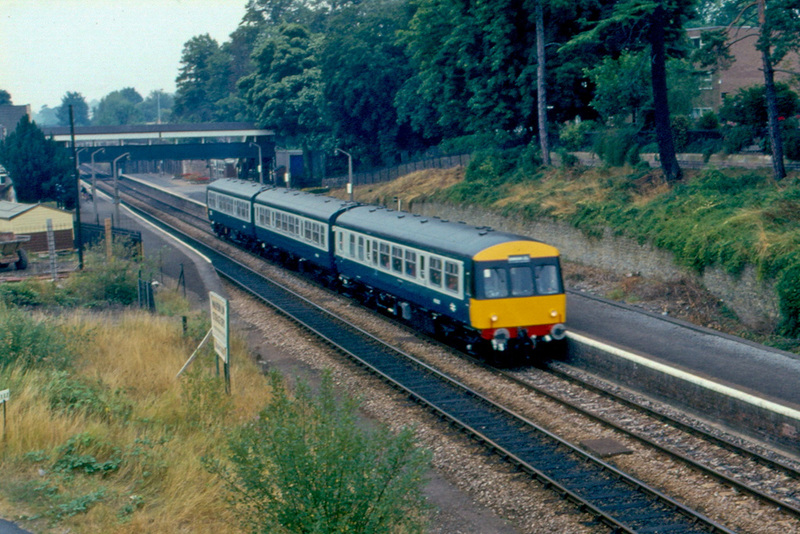 The class 503 unit consists of Cars Nos.65611, 65244, 65411 and 65204. Photograph taken on 17th June 1982.